Flip out your data with this “green” custom USB drive! 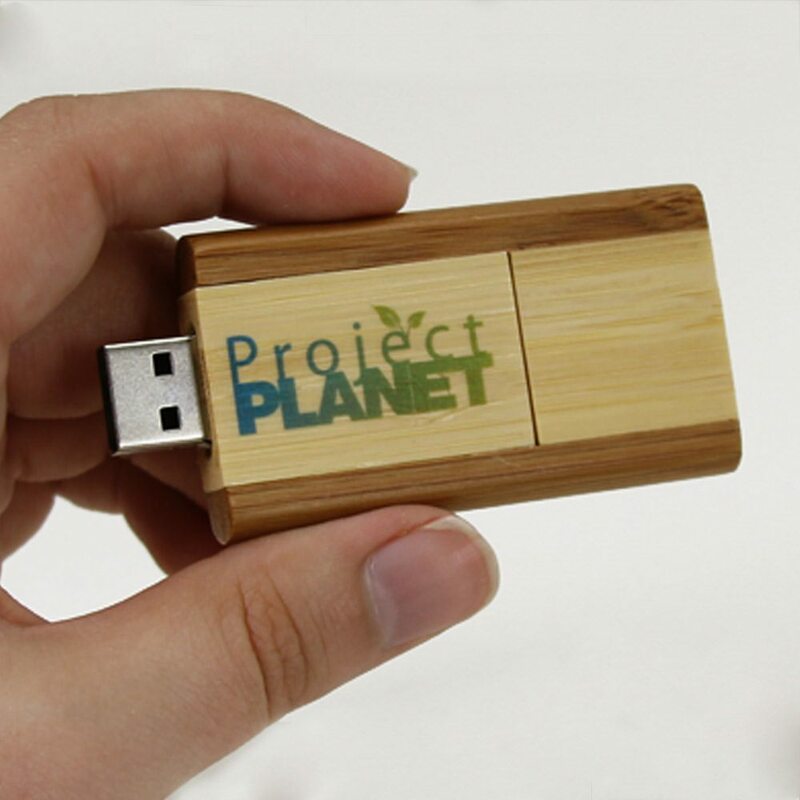 King amongst other wooden USB drives, the Bamboo Flip is made out of sturdy, beautiful bamboo. The USB is housed inside an integrated swivel cap. 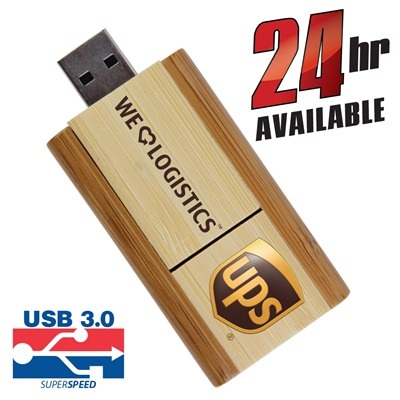 It comes with FREE 4-Color Printing or Laser Engraving, perfect for personalizing the custom USB’s large imprint area. Also comes with 100MB of FREE Data Preloading. Turn times available in Standard (up to 10 business days), Express (1-3), and 24 hours. 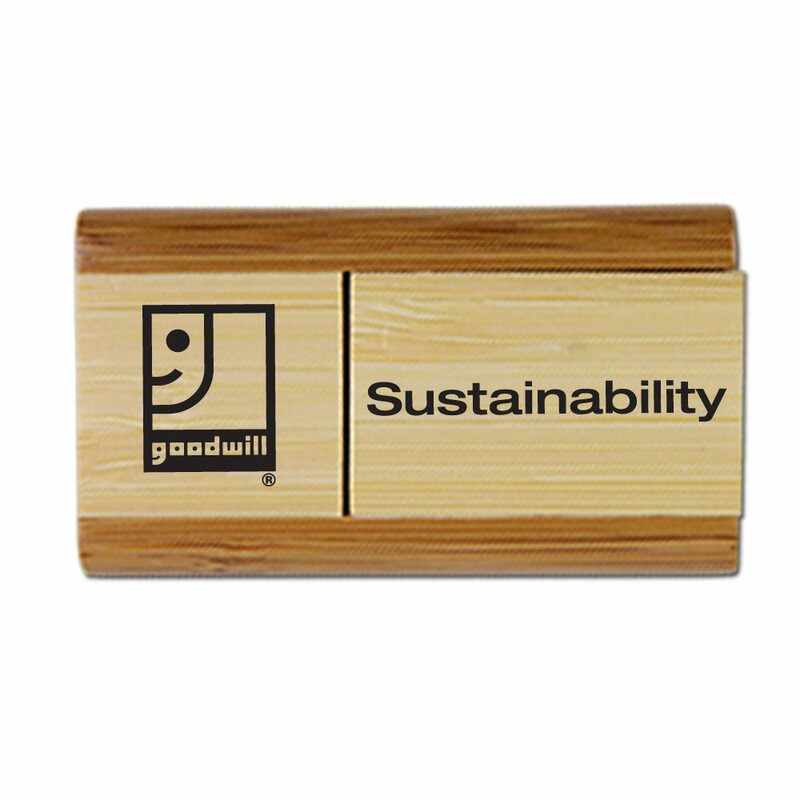 Your clients will flip for this environmentally friendly USB drive! 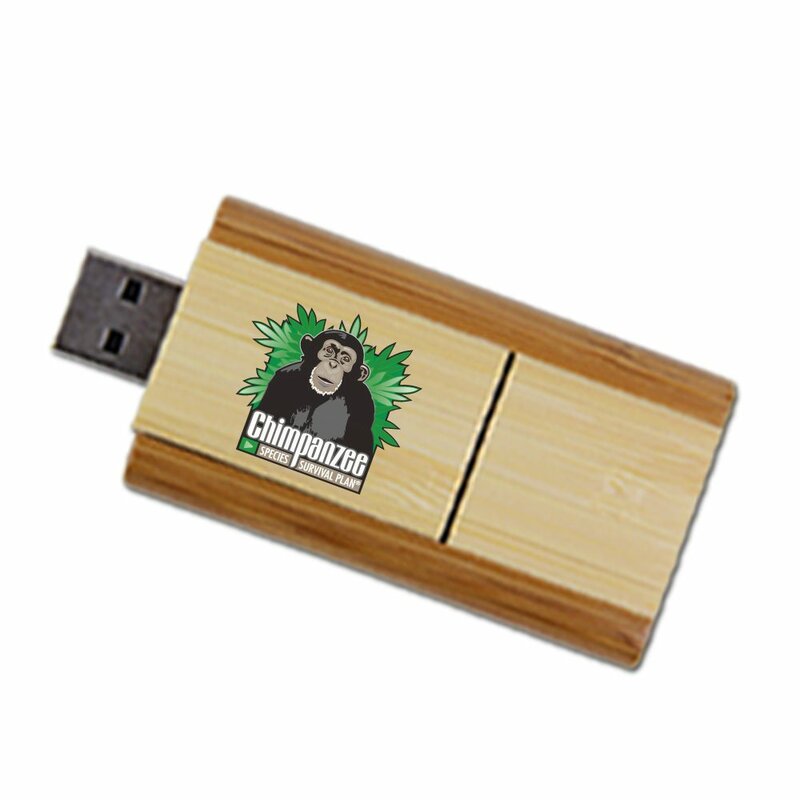 Our Bamboo Flip custom USB is a “green” USB that’s made out of smooth, durable bamboo. It uses an integrated swivel cap and swivel design for its Hi-Speed USB, keeping your drive safely stored inside the bamboo when it’s not in use. 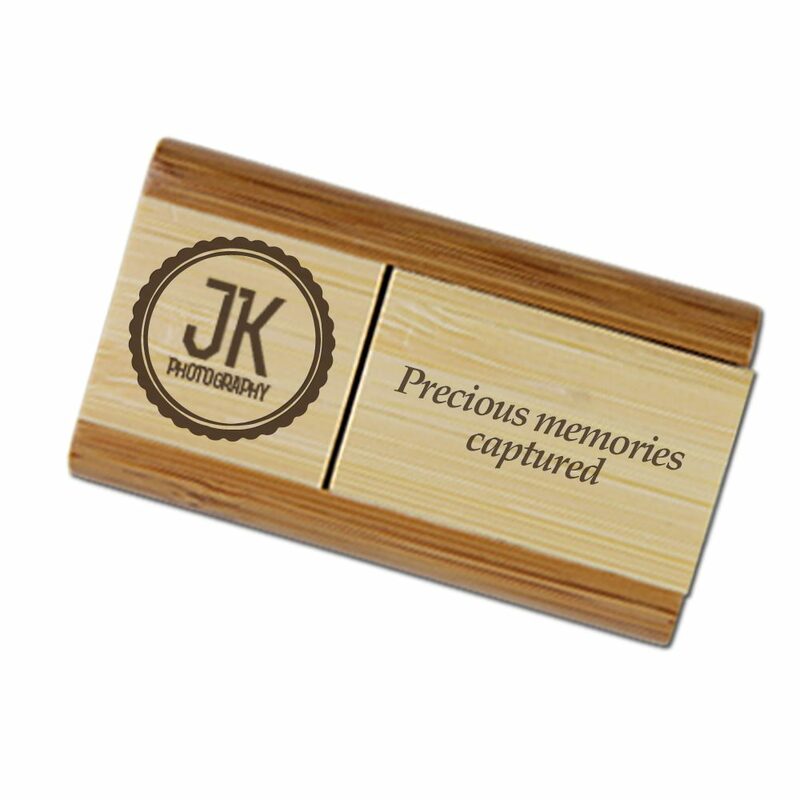 The Bamboo Flip has a large imprint area, perfect for custom printed artwork. 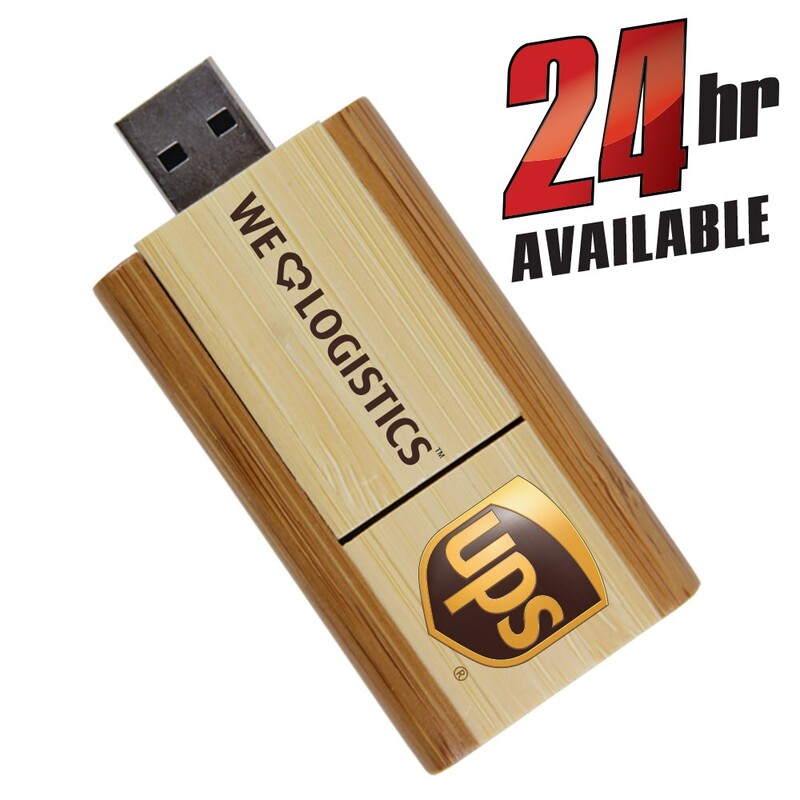 This customizable drive comes with FREE 4-Color Printing or Laser Engraving so you can personalize it with your logo or brand. It also comes with up to 100MB of FREE Data Preloading. With data storage capacities ranging from 128MB-32GB, it’s got plenty of space to store all your documents, pictures, videos, music, presentations, multimedia, and other essential files. It has a shock resistance of 1,000G, up to 10 years of data retention, and comes with a limited lifetime warranty. The Bamboo Flip is compatible with PC, Mac, and Linux. Order the Bamboo Flip with FREE shipping. Turn times for customizing your USB drives can vary: It’s up to 10 business days with Standard, 1-3 business days with Express, and it also has 24 hour availability. 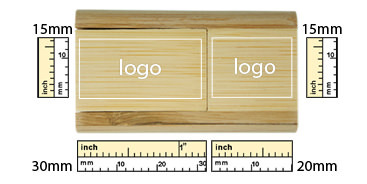 The customizable Bamboo Flip makes for a great promotional gift or giveaway.